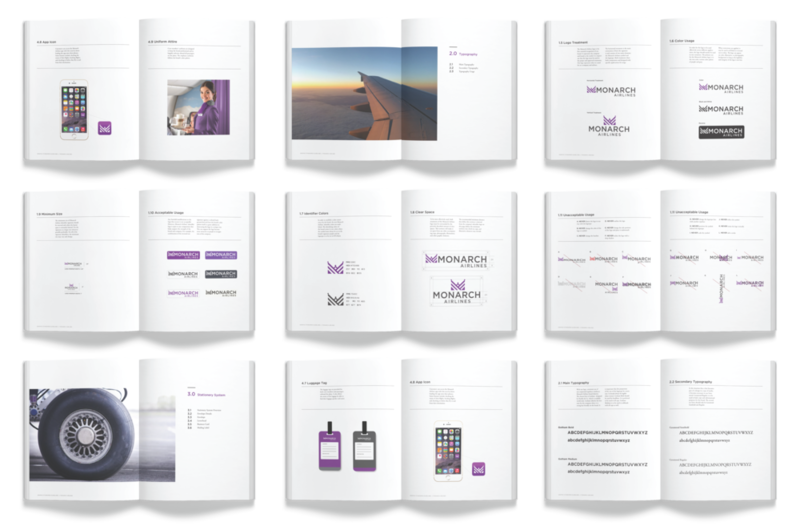 To rebrand an existing airline company for its brand identity and create a brand manual to represent the design system. With the new rebranded identity, we must also apply it to different applications in the company. 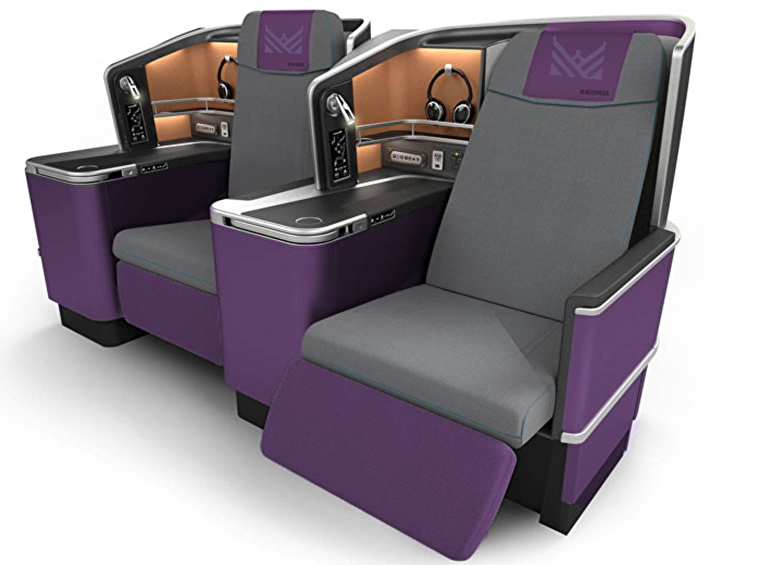 Monarch Airlines is a British airline company based in Luton. 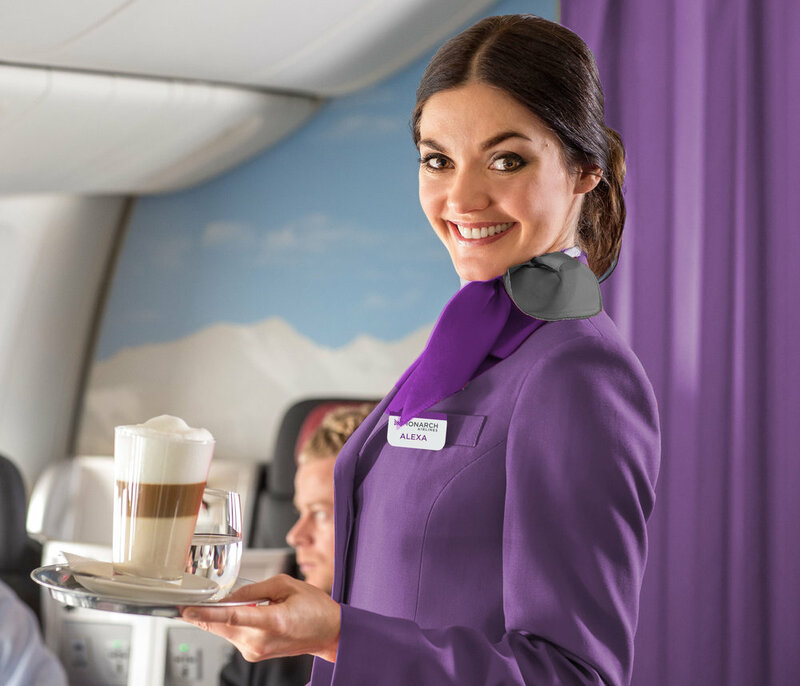 The company believes the journey should be smooth as possible from the moment you book your flight to the moment you arrive home. The symbol is a letter “M” resembling a crown as well to represent the monarchy system found in the United Kingdom. Purple was chosen because it is represent royalty in many different cultures. 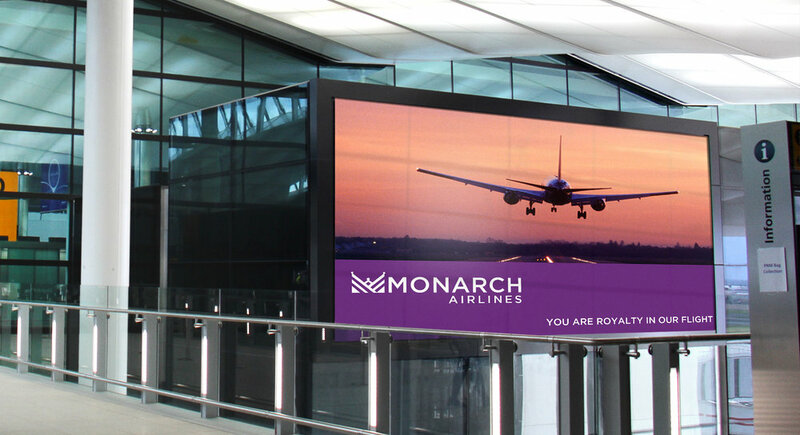 By updating Monarch Airlines’s identity, they become a more reliable and trustworthy airline for many customers to choose to fly with to their destination.